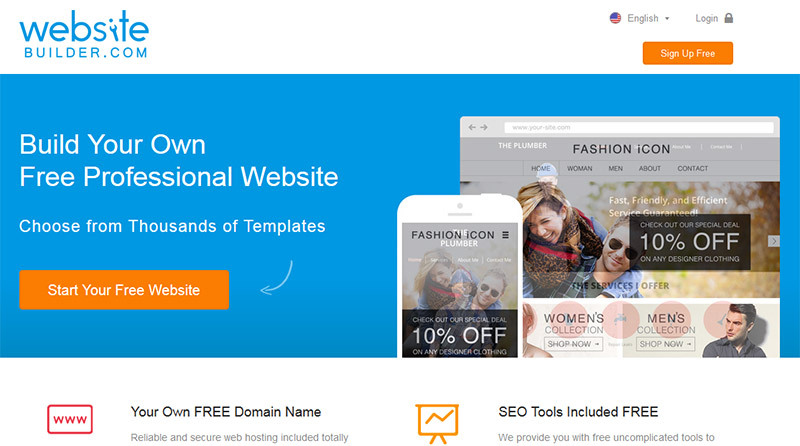 Looking for the Best Website Builder? Let Me Help. The answer is different for everyone! What Exactly Is A Website Builder? Website builders are online software and hosting platforms you can access for free or for a monthly fee. These website builders are designed to make the process of building a website easy for beginners. In the past, you would have needed expensive software and knowledge of HTML code to build a website. 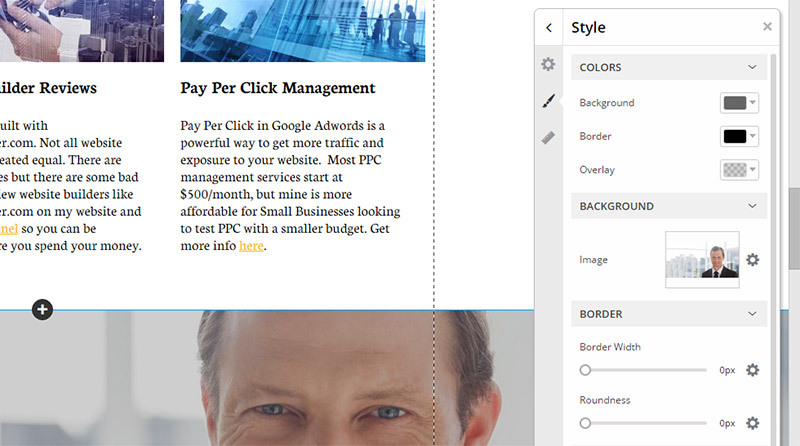 Now, thanks to website builders, you can use a graphical drag-n-drop interface to create your site. Some of them are so easy that if you can send an email you can build a website! If you’re asking this question, you’re in the right place! My goal with this page is to help you find the best option to build your website whether it’s using a website builder or not. You probably are investigating using a website builder so you can build your site yourself and keep the cost low. Website builders are supposed to be cheap and easy to use so you have the right idea. Unfortunately, they are not all as user-friendly as they claim to be. 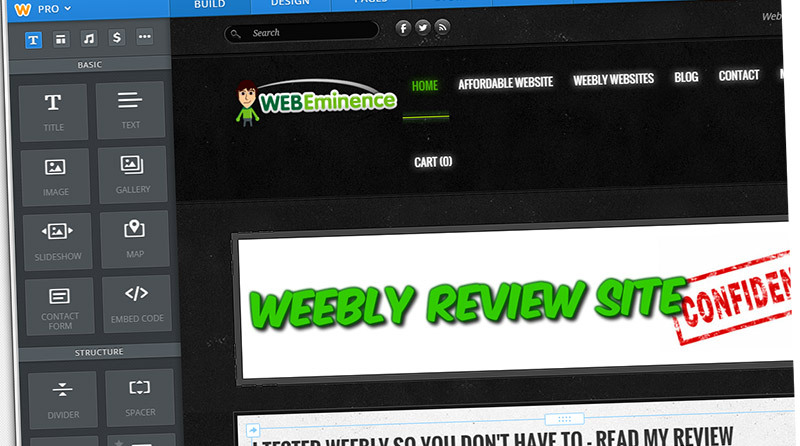 I’ve reviewed (and continue to review) many of the most popular website builders. Before writing a review, I use the website builder myself and provide a video walk through of my experience. So all my reviews are in-depth and from my personal experience. Since every website is different, a website builder that is perfect for someone else may not be the right fit for you. After browsing the website builder resources below, feel free to fill out the form below to get my opinion on what website builder is the best fit for your site. I’d be happy to help you out. Realizing I had many questions with building my new website. I felt the need for professional advice. While browsing the web I connected with Web Eminence. This website offers great information and tools for starting, designing and maintaining your website, along with Ryan’s professional knowledge as far away as the phone. I was amazed at how prompt, friendly and helpful Ryan was with answering any questions I needed answered, guiding me in the right direction and offering additional information that was very helpful. I can’t say enough about his free help. It was exceptional. 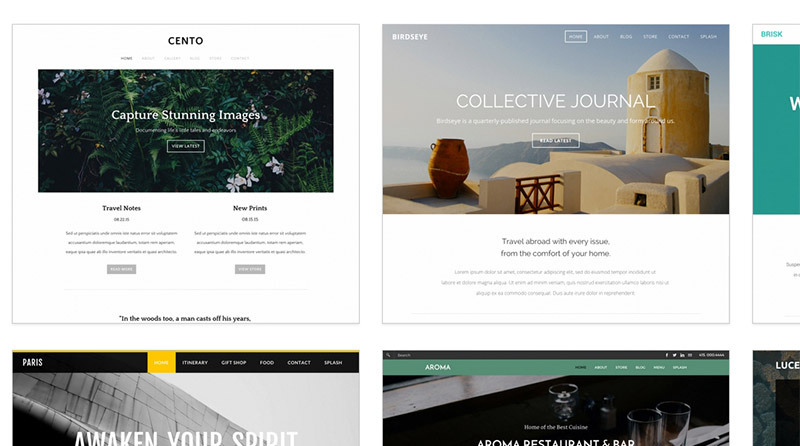 WIX – A website builder that is actually fun? 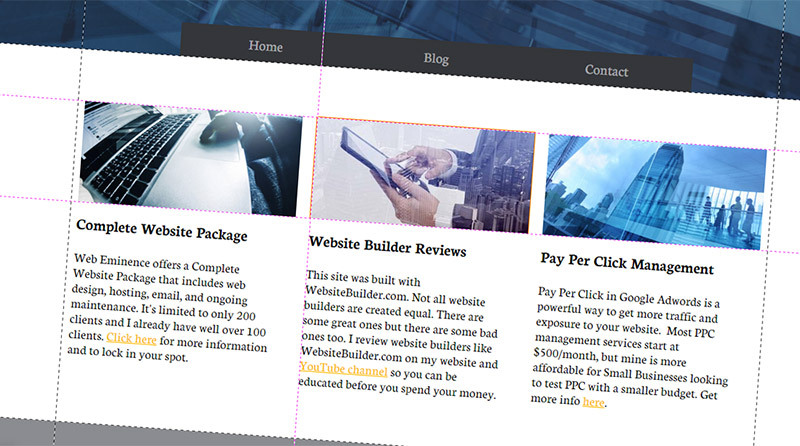 Out of all the website builders I’ve reviewed so far, Wix is definitely the most fun to use. 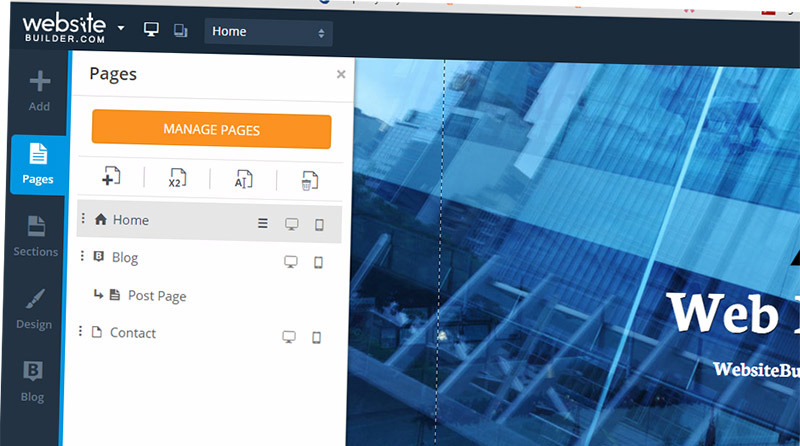 It boasts the most creative flexibility of any builder I’ve seen thanks to animations, hundreds of unique design themes, and very cool built-in photo galleries (just to name a few things). Because it can be as open as a blank canvas, it may not be as quick to build a website with Wix when compared to Weebly for example, but it is still is super intuitive and easy to use. I recommend Wix for anyone, but it is especially great for the right-brainers out there who want to shape their website into their own unique creation. 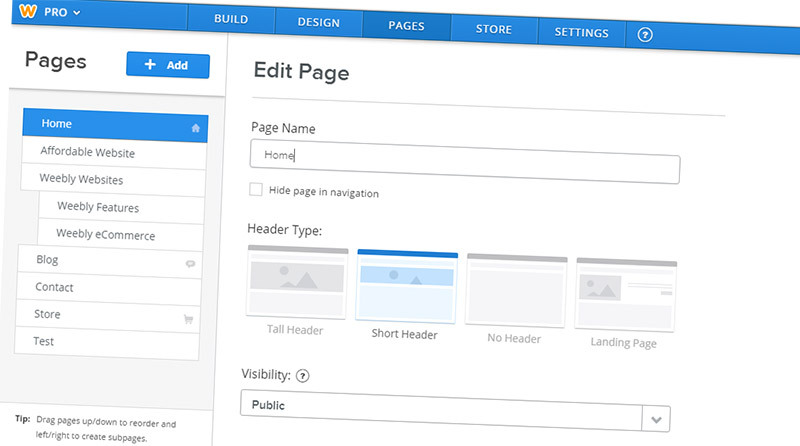 Wix has more customization possible in its drag-and-drop widgets than any other website builder I’ve seen. You can see all the widgets and options in my video review. Wix is also expandable thanks to the App Market with hundreds of apps like form builders, event calendars, professional photo galleries, and more. What makes this website builder unique? 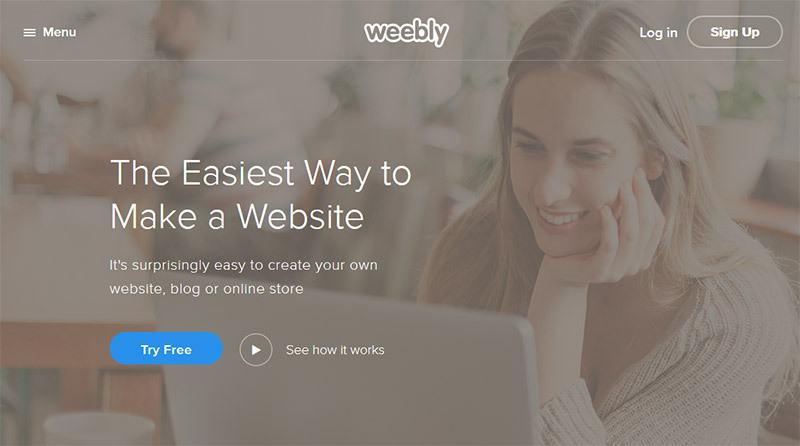 Weebly – Simply the best? Weebly is a website builder that almost anyone can can use thanks to its intuitive drag-and-drop interface. 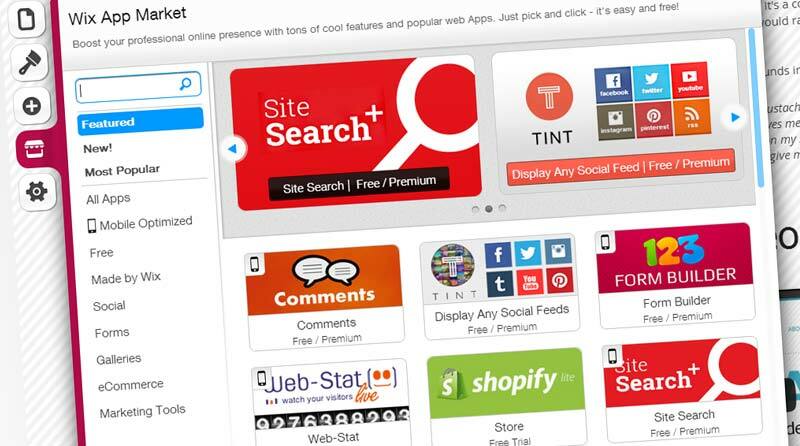 Weebly offers a ton of value in their free accounts and the affordably priced premium plans. For people who want to build a website fast, are a little worried about their ability to use a website builder and aren’t super particular about how the website will look, Weebly may be the website builder for you. Don’t get be wrong, your site will still look awesome thanks to the professional design themes offered. And thanks to the boxed layout that I talk about in my review, it’s hard to make anything look bad or misplaced on a Weebly website. And just because Weebly is simple to use doesn’t mean it’s basic. 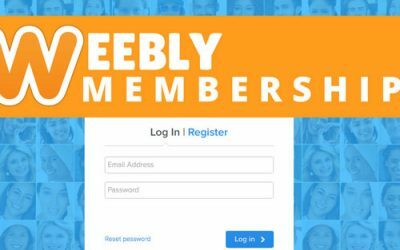 Weebly has been one of the most innovative website builders by continually creating new design themes, offering Weebly eCommerce that is a seamless option to sell products, and developing advanced features like allowing membership functionality on your site. 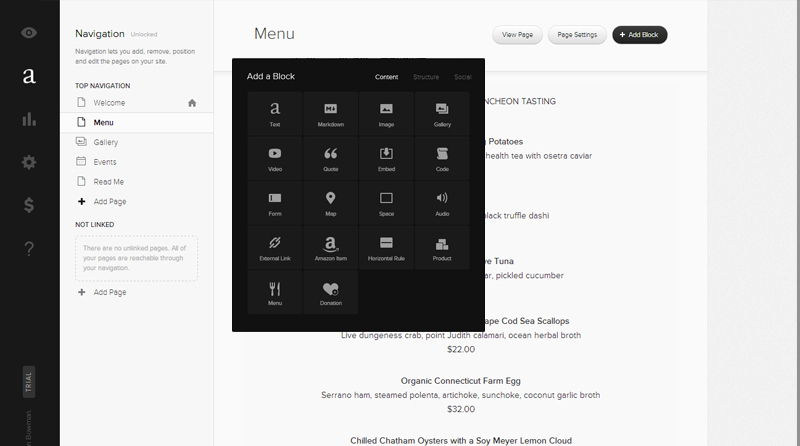 Squarespace – One Look?? One Look!!? 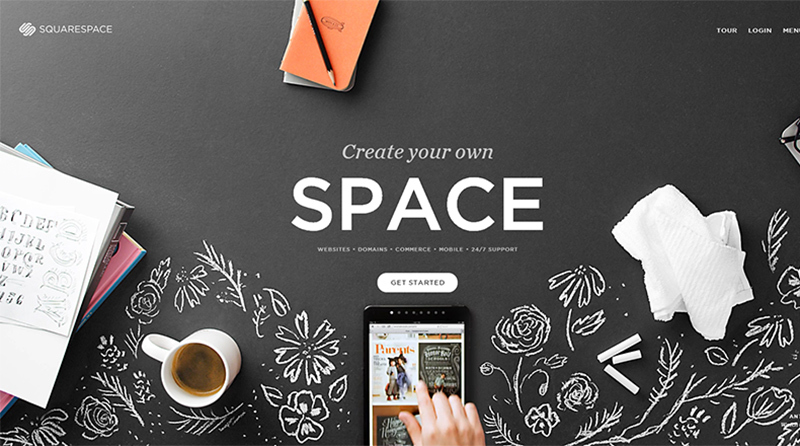 If beauty and modern elegance are what you’re after, you’ll love Squarespace! Squarespace sites have a polished and unique look with minimalist solid colors (often black/white), lots of empty space, clean fonts, and full-width images. Even the website builder itself where you do the work is simple, elegant, beautifully functional. I can usually spot a Squarespace website from a mile away! 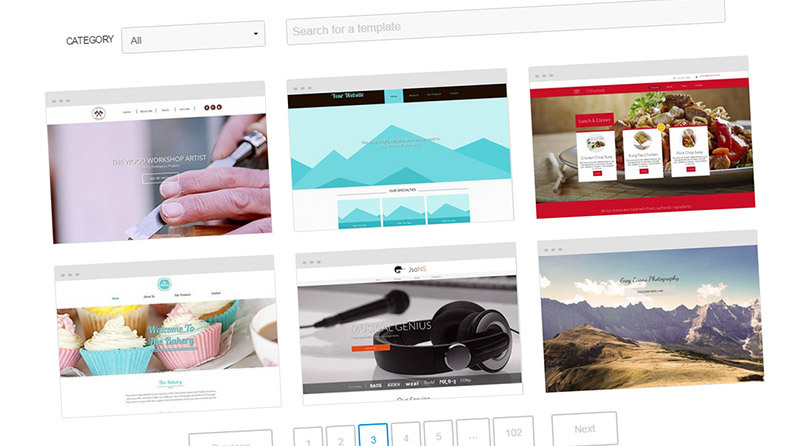 – and one of the reasons is that Squarespace doesn’t have ton of design themes to choose from. So some people might think Squarespace is the Derek Zoolander of website builders – only on look. All of the designs are dependent on high-quality images so if you have a lot of photos, a Squarespace site is a perfect place to display them. This website builder is designed to offer more power to people who are more inclined to web and graphic design. 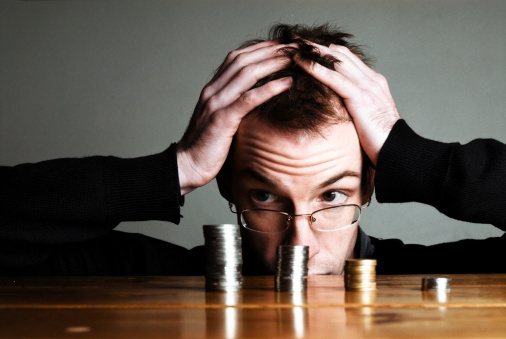 Because of that, it may be a bit overwhelming for a new DIY website builder. There are features in Squarespace I’ve not see anywhere else like cover pages, free logo creator, food menus, charts, and a lot more. WebsiteBuilder.com might just be my favorite website builder if it weren’t for the fact that they’ve been getting a lot of customer service complaints. The website builder is simple enough for a beginner to pick up and use, but it also has a lot of cool advanced features that make it even more powerful for people with a little bit of web design experience. The designs are impressive and modern and the ability to customize sections insures that your site will be totally unique to you, and not look like a template. In many ways, WebsiteBuilder.com takes some of the best features of Wix and Weebly, combines them into one, and takes them even further. I must say “Buyer Beware” on their customer service and you can read the comments on my Youtube video for more info. But the website builder itself is definitely my personal favorite. The main reason to use a website builder is to reduce the cost by creating your website yourself. If the website builder software is difficult to use, the whole process crumbles. 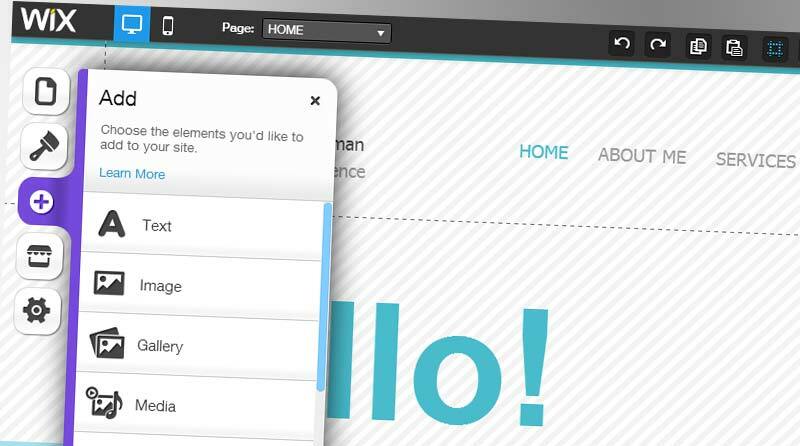 Ease of use has to be the most important feature you’re looking for in a website builder. I like to measure website builders on a spectrum of fun to frustrating. I simply use each website builder and decide if I’m having fun using it or constantly frustrated. 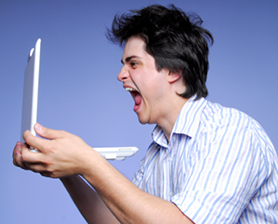 With some website builders, there is a period of frustration before you get to the actual fun of creating your site. The best website builders minimize the learning curve and are so intuitive that almost anyone can pick them up and start having fun creating a website right out of the box. When testing out a new website builder, stop after one hour and ask yourself, “Am I having fun or am I frustrated?” If you’re frustrated after an hour of using the website builder, it’s probably not the best option for you. The website builder application itself is the most important factor but the quality of the design themes are crucial too. A website builder can be easy to use but if the design themes are low quality, the overall look of your website will suffer regardless of how easy it is to build the site. Everyone places a different weight on the importance of graphic design and design preferences vary. Look for website builders with design themes that you like but also look for sites that appeal to the masses. It’s more important what your visitors think than what you think. If you’re unsure which website builder offers the most appealing designs and the most appropriate templates for your site, read website builder reviews online or poll friends to ask what they think about the designs. Many website builders allow you to switch between designs but you don’t want to have to switch website builders because of poor designs. Choose a company with quality designs from the start. We’ve established that people choose website builders because of the low cost. Rather than paying $1,500+ for a simple website, you can use a website builder to create your own for free and just pay $10-$20/month. Since you’re probably on a tight budget, finding the website builder with a low price and all the features you need is the holy grail. You don’t want to skimp to save $1/month and settle for a lower quality website, but you also don’t want to pay $79/month for a website builder that offers less value than a $10/month option. I’ve used many website builders, and I think you should be able to find a website builder to build a simple informational website for under $20/month with no problem. Different features will be critical for different website owners. Some people may need tools for easy video or audio elements and some may need social network integration. Make sure to check the website builder you plan to use for the features that are crucial for your site. A clumsy or missing feature could mean hours of extra time creating your site or needing to leave important content off your site altogether. 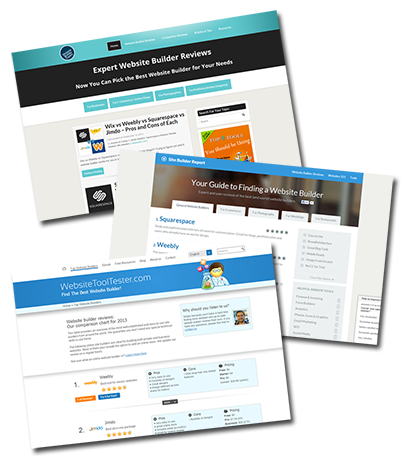 WebsiteBuilderExpert.com – Jeremy and Connie created this site because they went through the experience of trying to find a website builder suitable for their own website. Their reviews are honest and based on their own working experience. Check out their story and read their review on the website builders you’re considering. SiteBuilderReport.com – This site provides reviews on a lot of website builders with video reviews, a simple ranking system, and a nice clean design on their site. You can get a quick look at how the different website builders rank from just glancing at the home page. WebsiteToolTester.com – Based in Germany and available in different languages, this site has a whole team of people working on putting out reviews so they better be exceptional – and they are. Like SiteBuilderReport.com, they offer an extensive list of many website builders as a comparison chart so you can quickly see how the different website builders rank. Want My Personal Opinion? 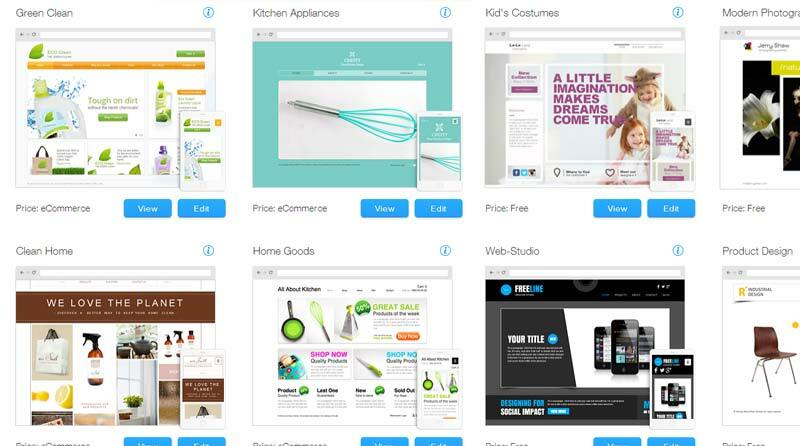 What’s the Best Website Builder? Every website builder is unique and you have different needs than other people reading this. 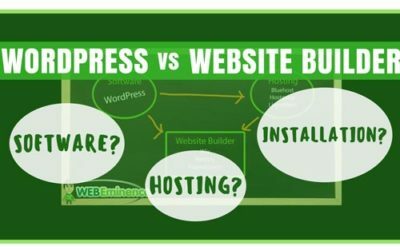 Many factors combined will determine which website builder is the best fit for you. If you’re not sure which it is, I’d be happy to give you my opinion by email if you fill out the form below. If you fill out the form, I promise to not add you to any email list. All I ask is if you choose to use one of the website builders above, please sign up by first clicking the buttons above to go to the website. I am an affiliate for most of these website builders and they pay commissions for new signups. This is what allows me to continue to spend my time creating these reviews and providing FREE HELP to people like you! Thank you! What's your web design and/or general computer experience? What are the 1 or 2 biggest priorities for your site? Have you tried any methods of building a site? Are you interested letting me build your site? 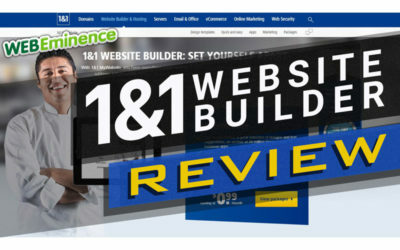 1&1 Website Builder Review – Is Europe’s Premiere Website Builder For You? 1&1 offers many web services including a website builder that is popular. I did a video review of their builder and put together a full video review in this post. 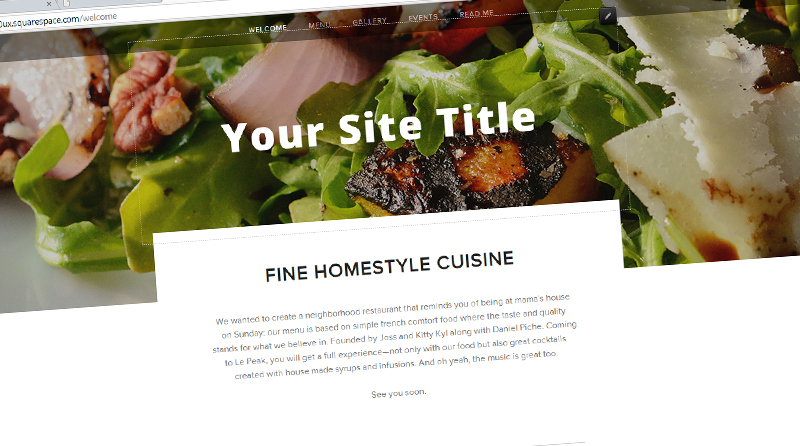 See if Europe’s premiere website builder is right for you. If you’re considering WordPress or a website builder, you first need to start with the basics. How do you setup these two different website platrforms? This may help you decide which one is for you. 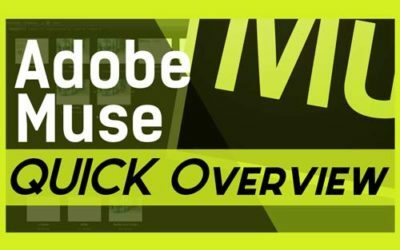 Adobe Muse QUICK Review – Is it for you? Adobe Muse is not as popular as some other products in the Adobe Creative Cloud Suite and it may be for good reason. Check out my video review and see if you’re one of the few people that may be a perfect fit to use Adobe Muse. You want a mobile website AND you want to use a DIY website builder. 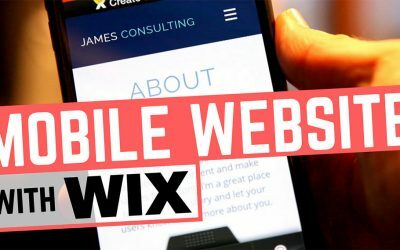 Most good website builders will allow you to create a mobile friendly site, and Wix does it as well as or better than the rest. Check out my video overview. Wix Pricing Plans- Is Free Enough? Should I Upgrade? 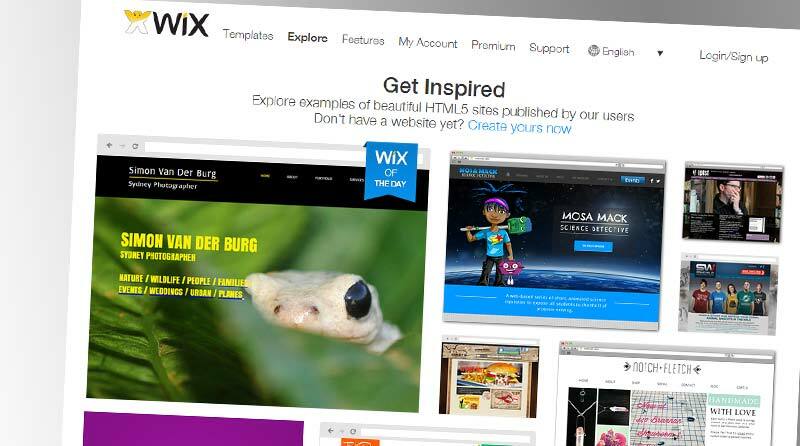 Wix is a popular website builder that attracts people with a ton of value in their free accounts. But what about their premium plans? Are they worth it? Should you upgrade? 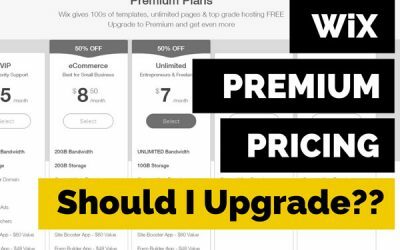 I show you the limitations of a Wix free account and the reasons to upgrade to their premium plans.